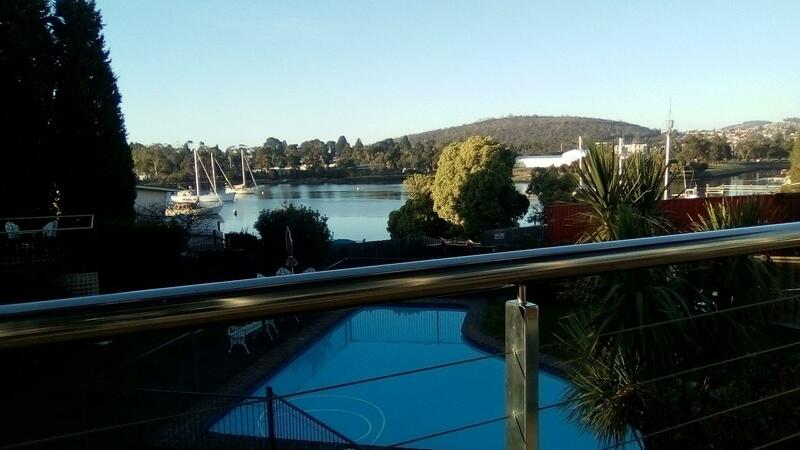 يشكل فندق Waterfront Lodge Motel بموقعه الممتاز في منطقة سياحة ضمن المدينة، مكاناً ملائماً لقضاء العطلة بعيداً عن عجقة أيام العمل. يمكن من هنا للضيوف الاستمتاع بسهولة الوصول إلى كل ما تقدمه هذه المدينة النابضة بالحياة. إن سهولة الوصول من الفندق إلى المعالم السياحية الشهيرة الكثيرة في المدينة هو استثنائي بحد ذاته. إن الخدمات الممتازة وحسن الضيافة العالي في Waterfront Lodge Motel تجعل إقامتك تجربة لا تنسى. إن واي فاي مجاني في جميع الغرف, خدمة التنظيف يوميًا, خدمة سيارات الأجرة, خدمة حجز التذاكر, مجهز لذوي الإحتياجات الخاصة هي جزء فقط من الخدمات التي تميز Waterfront Lodge Motel عن باقي الفنادق في المدينة. تنعكس أجواء Waterfront Lodge Motel في غرف الضيوف.تلفزيون بشاشة مسطحة, حمام إضافي, مرحاض إضافي, مناشف, اتصال لاسلكي بالإنترنت هي بعض الميزات الموجود في العديد من الغرف. يقدم الفندق العديد من الفرص للاستجمام كمثل حمام سباحة خارجي, سبا, حديقة. مهما كانت أسبابك لزيارة المدينة، فإن Waterfront Lodge Motel هو الخيار الأفضل لإقامة مثيرة وممتعة. My son had to attend medical appointments, early the day after arriving, our room was comfortable, spacious and clean. The staff were friendly and helpful. The complex was only a short commute from the city center. Our stay certainly made what is usually an extremely long day into one much less stressful and tiring. We will be looking to stay again. Thankyou. We stayed for two nights in this Motel, Room 30 was a bit oppressive to the breathing, another lake side room on second floor was much better. BUT, lot of insects flew into room after we turned on lights :-( Truely hope you can install the mosquito screen fo r the great windows. Thanks. No aircon, window would not open, staff offered a fan which would have moved hot air around the room. Websie should state no aircon. It was 37° in hobart. 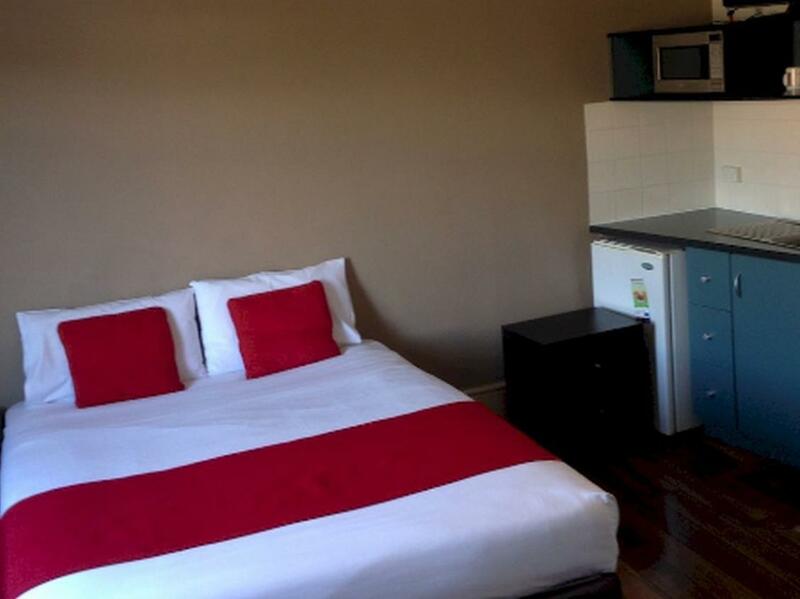 Did not stay, asked for refund which was denied, found & booked another motel with aircon. I stay here for work as it has everything I need. Free good wifi in all rooms. Free off street parking. Quiet peaceful off main road location. Easy to find. Close to town (short drive). 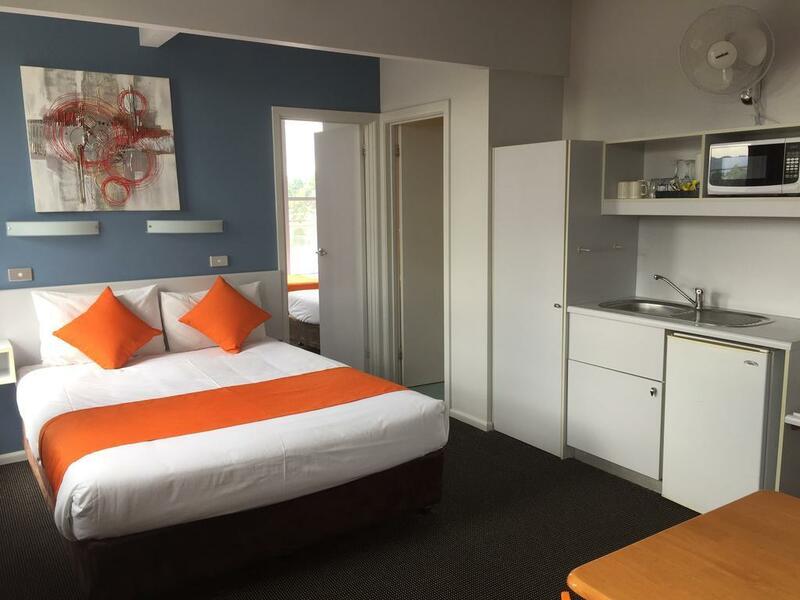 Very clean tidy rooms. Friendly guy on desk. This is the only place I stay now. It is only a few minutes to New Town and less than 15 minutes to North Hobart / Hobart. The room is very basic but all facilities are there. Bed is comfortable and bathroom contains all amenities. Shower gels, hand lotions etc are from dispensers. There is a communal kitchen if you want to cook. Reception and cleaning staff are very friendly and helpful. There is enough parking space in the Lodge and there is also street parking. For the price you pay compared with the price in the Hobart CBD, it is value for money. Difficult parking especially for larger car. Bed too soft. Staff was nice. Location is great. Reasonably close to the city with free parking. Quite and Peaceful with nice view of waterfront. Unfortunately our room wasn't that clean. We found some "leftovers" from the guests before. But all in all, great value for your money. Everything is good according to the hotel standard. The decoration is well designed. I like it. The only problem is 1 there is not enough parking space. if you return after 9 pm, you are most likely have to park on a street. Additionally, a wooden corridor floor making a noise which can disturb other guests when I return late night. Stay here for work... cheap, clean, basic but great cheap place to stay if you have a car. 15 mins to airport and 5 mins to Hobart city. Cleanliness, location and the very comfy bed. We had a relaxed stay as the trip was just an overnighter. The best thing was the cleanliness and the comfy bed. Yes, it is three star and in this world you get what you pay for, but this place is good value. 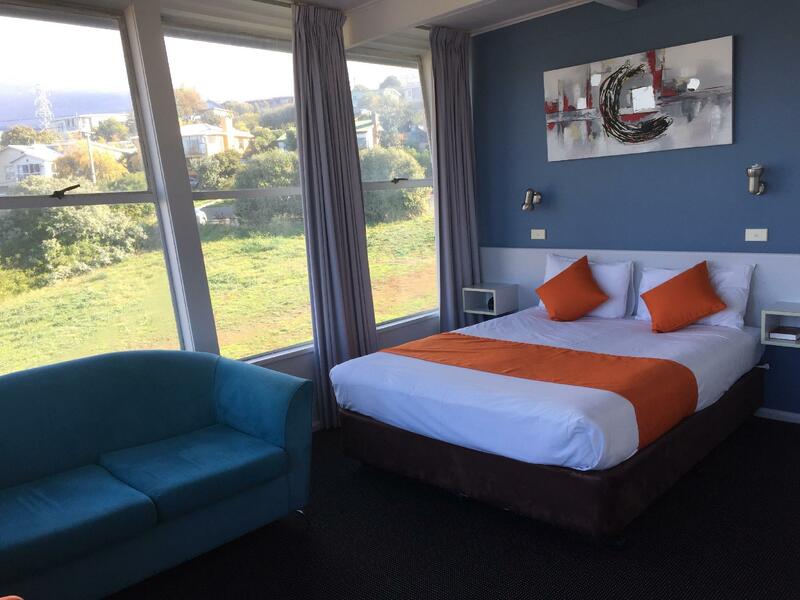 We stayed Sebel four star in Launceston at more than double the price and the Waterfront was so much better. Thank you. Clean and friendly. Bit out of the way to shops and bus stop if you didnt want to drive into Hobart. We were placed in the "Heritage Cottage" which appeared to be the original house on the site & converted into a number of rooms. 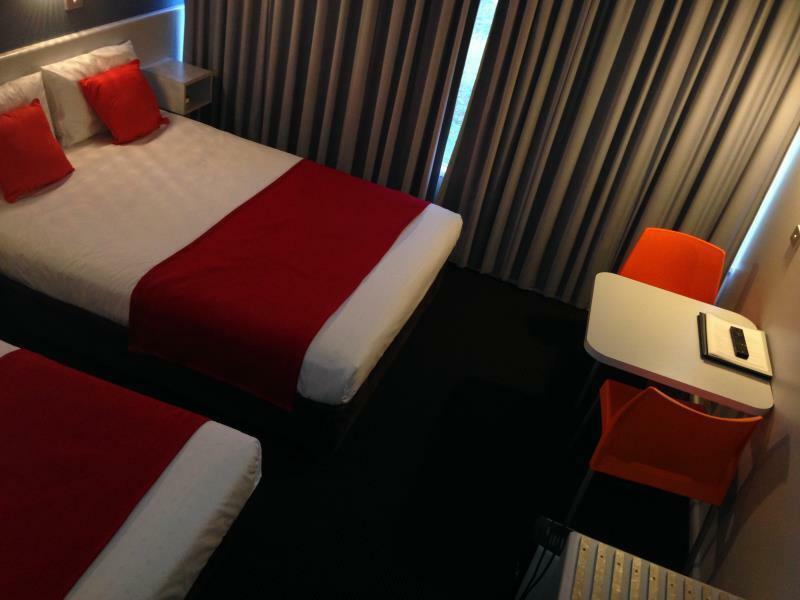 Although it is an old building, it was a large, clean & comfortable room with a very comfortable bed. We would use this Motel again if the need arose. Reasonably close to the centre of Hobart with free parking. Even though i called to confirm THAT DAY our key wasn't left out for after hours check in like we were told it would be. We were woken up to a man screaming vile things at a woman and when I told the staff they said "oh well that man has now checked out". Not a great response to potential violence against women. The room we were supposed to check in was dusty as someone left the window open for 5 days as per the reception guy. This wasnt mentioned when we were checked in by a lady who told there was someone who stayed before just previous evening. I requested to clean the room and bedsheet as we were allergic to dust. But the lady didnt even bothered to make our bed properly. I requested for another room to be told that all the rooms were full whereas the signboard said vacancy. We were just staying out the whole day and avoiding to go back to the room to avoid sneezing. Even though we were tired from the journey, we barely slept due to dusty room. No rubbish bin in the bathroom. No scrub to do the dishes only dishwashing liquid was available. Stay at waterfront lodge was the only annoying thing that we faced during our Australian journey. Good size room. Value for money. CBD only a short drive away. clean, nice view from room no 1. receptionist Peter is very friendly.